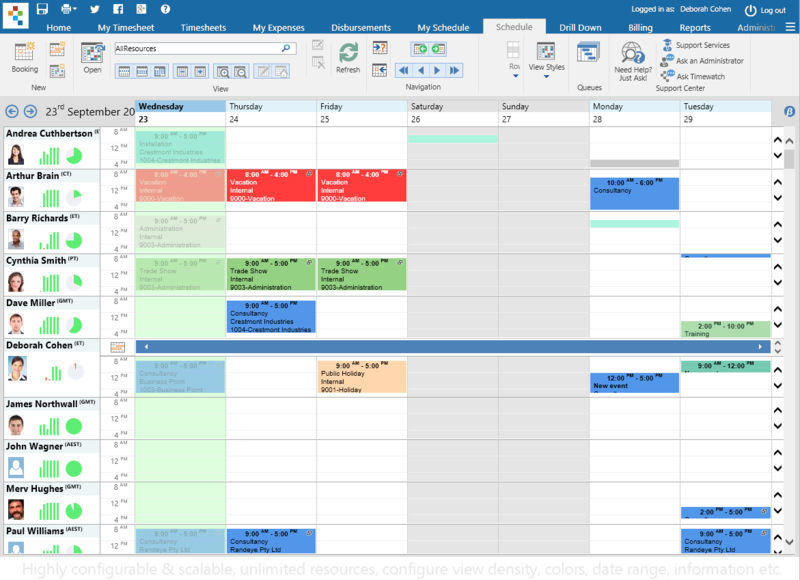 Scheduling with Excel or paper? 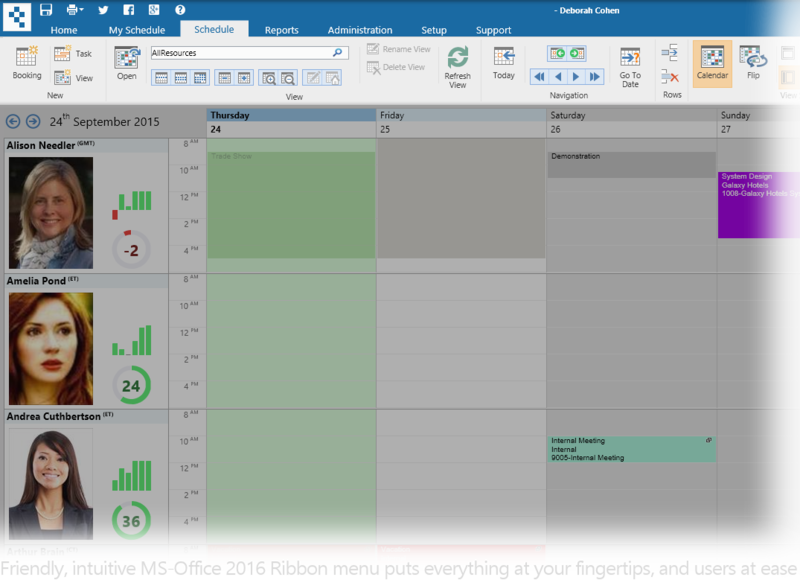 High visibility, multiple resource scheduler view with seamless integration to Outlook and Google calendars. 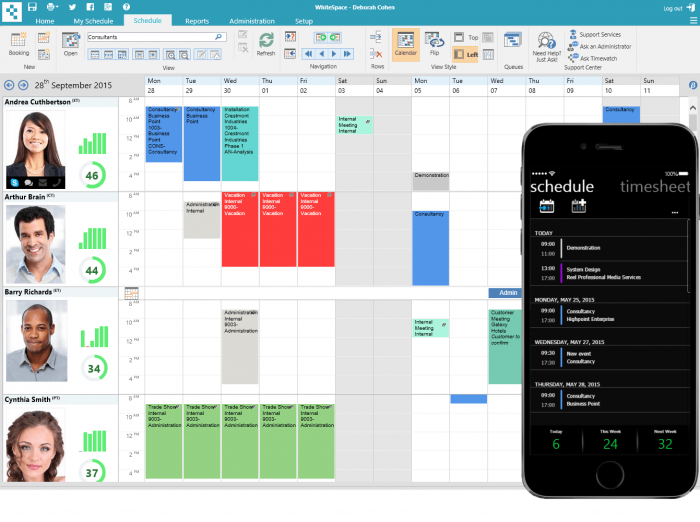 Intuitive, user friendly resource scheduling software from Timewatch includes Wallchart resource scheduling system. Supports PCs, Macs, phones, tablets. 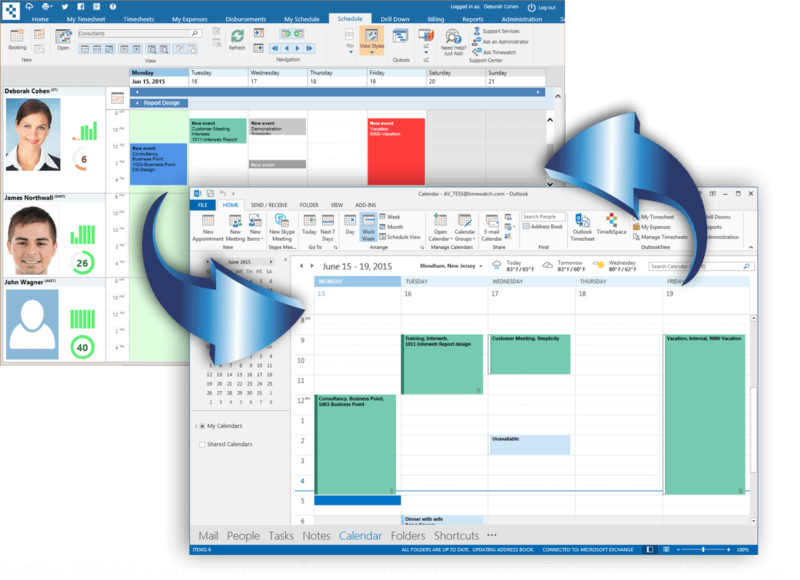 Provides a multiple resource scheduling view for group project planning and supports bi-directional sync with Outlook and Outlook 365. Schedule any type of resource. For example, people, employees equipment and rooms. Training courses, consultants, engineers can also be scheduled. Users can view schedules from their iPhone, Android or Windows Phone or tablet. 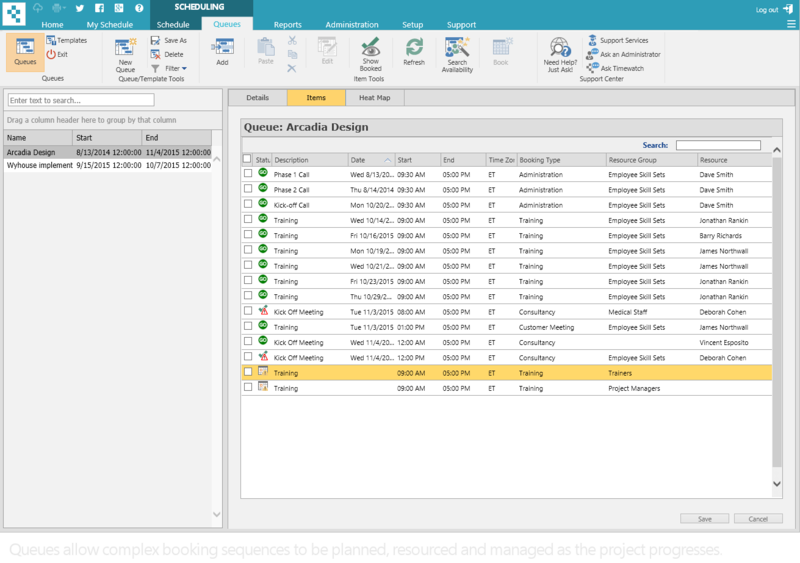 Also take a look at the free resource scheduling system from project office live. 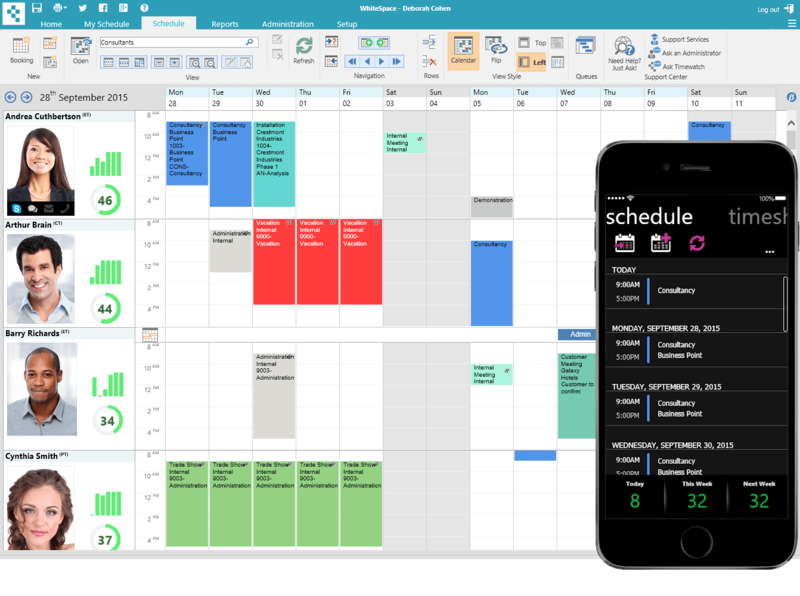 Watch the whitespace and wallchart resource scheduling video for more details on the employee scheduling and planning features and functionality available. WhiteSpace is 100% browser-based and supports all major browsers on PCs, Mac, and Linux, as well iPhone, Android and Windows phones and tablets. Three Editions => Price Flexibility. There are three editions of Whitespace: from the cost effective Essentials edition, to the more powerful and configurable Pro edition, to the Enterprise edition, the ultimate in scalability, performance & flexibility, there is something for everyone.